The Covert Cucumber Operation, North&nb…99 Years ago Today……. Happy World Environmental Day, Have a Big Lunch! It’s World Environmental Day and in the UK , organised by the Eden Project it is The Big Lunch, I am not sure if it is too late, but you might be able to click on the site and find out where the nearest big lunch is happening to you and wizz down there with a pot of hummous and meet some of your neighbours. In many places in the world, people do know their neighbours, and probably have lunch with them all the time. In our metroplis style living that does not always seem to happen. First we all all so ‘busy busy” even we are not, we have so little personal space, we often just want to go home and have a bit of quiet time at the end of the day. 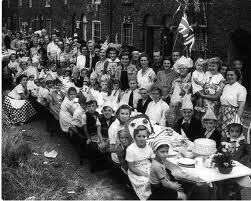 I think I might make the effort today to join a local big lunch…will keep you posted. I love this song soooooo much. I am relieved about the video which I have never seen before. Thank you for simplicity. I did a vocal arrangement of this a long time ago and still find out different choirs are singing it, which make me very proud. I first heard this song during a GCSE music listening exam blasting through speakers in a in a school hall in the days when I taught 500 London teenagers a week music. Today, I love Sting and take back all I said about his fashion misgivings and middle eights during my post on 3rd june.